When the first season of Stranger Things premiered last summer, it was arguably bigger than any superhero blockbuster or summer action flick. 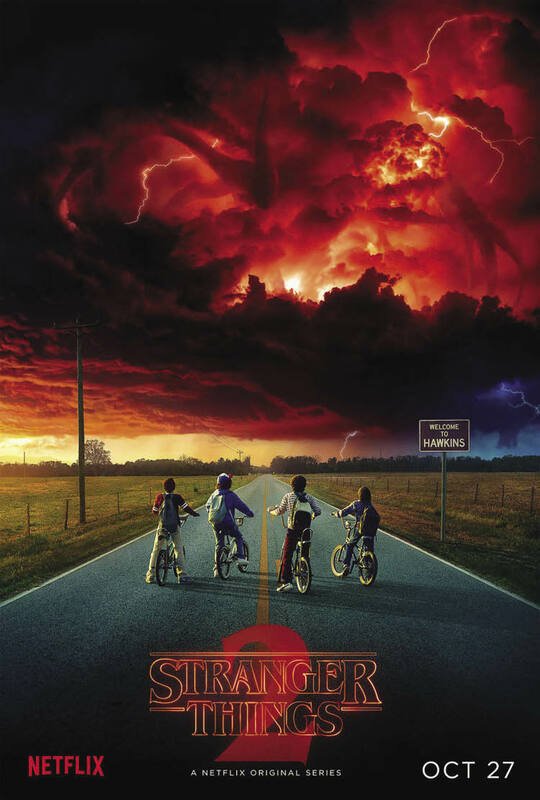 The creators of the show, the Duffer brothers, crafted a fun, 80’s inspired science-fiction series and it took the world by storm. Once again, Netflix could brag that their original content was on par with some of the best television series out there. It was met with universal acclaim, and was an easy recommendation, as it blended nostalgic elements with a fresh cast, and an ultimately satisfying story. One of the easiest shows to binge in the entire Netflix library, Stranger Things was honestly a pretty great show. But then came the hype. Nostalgia junkies latched onto the series, with millions touting that the soundtrack was the greatest of all time and that the talented cast of child actors could do no wrong. Careers were made overnight, and the series, that essentially acts as an homage to Spielberg sci-fi, became ‘the most original thing on television.’ It was frequently mentioned as one of the greatest single seasons of television ever, up there with True Detective’s first season and the fourth season of The Wire. Frankly, that’s just not true. 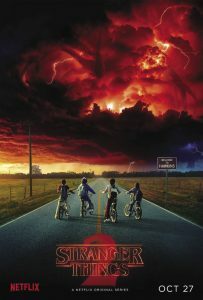 Sure, the first season of Stranger Things was an entertaining ride filled with endearing characters, some genuinely funny comedy and some classic horror thrills to boot. But, it’s not one of the best shows ever made. Occasional narrative choices reek of cliché, while some characters are completely static and have no real impact to the plot. Nitpicking aside, the first season was great, and the second season of Stranger Things was faced with the almost insurmountable task of delivering on the hype. Luckily, it mostly does. It’s safe to say that if you enjoyed the first season of Stranger Things, you’ll enjoy the second. The entire cast has returned for another round of telekinetic, alternate reality action, and once again they don’t disappoint. Winona Ryder is excellent as Joyce Byers, with her frantic energy permeating the television screen with great effect. David Arbour shines as well, and his portrayal of the stern, affectionate police chief Jim Hopper is incredibly believable. The chemistry between the young actors is also a sight to behold, as both groups of teens shine throughout the season. One of the strongest parts about the second season of Stranger Things is that the majority of the characters have already been developed, and it allows for more creative freedom. Unlike the first season, no character feels like an afterthought, other than a group of criminals that are introduced in episode seven, but I’ll get to that later. Noah Schnapp, who plays Will Byers, played an important, but small role in the first season. In season two, Schnapp is given a much larger spotlight and he gracefully navigates the heavy lifting with the expertise of a tenured actor. Millie Bobby Brown, who was a standout in season one, has a surprisingly smaller role, yet her performance is still a standout. Sean Astin of Lord of the Rings fame, was a new addition to the cast. His performance as the lovable loser Bob Newby is superb, and his addition to the story was a massive highlight. Performance driven narrative is where the first season of Stranger Things excels, and the second season brings more of the same. The soundtrack was once again a hit. With an ambient synth score sprinkled between classic 80’s tunes, it’s hard not to commend the Duffer brothers for creating such an evocative atmosphere through music. As in season one, visuals are top notch as well. From a haunting, possession sequence that is littered with beautiful special effects, to simple costume design that truly immerses a viewer into the world, the series is as technically sound as it comes. The cinematography is also a highlight of season two, with tracking shots and brilliant landscapes galore. The only real problem I have with Stranger Things is the story. The season unfortunately starts off extremely slow, with episode one being almost entirely dedicated to introducing new characters and re-establishing the relationships of all the favourites from season one. On a rewatch, I would probably skip it. Slowly but surely, the slow-burn tension of season two is ramped up, and episodes two to six are excellent television. The story of season two successfully builds on the first. With interwoven narratives depicting the aftermath of a town struggling with interdimensional beings, telekinetic abilities, and high school drama, season two had all the potential to usurp the first. The humour, action and drama are all beautifully blended up until this point, but then episode seven came along, and halted the momentum. Episode seven is set to be the most divisive episode in the series. Without diving too heavily into spoiler territory, the episode follows Millie Bobby Brown’s Eleven as she reconnects with someone from her past, and it can be viewed as a standalone story. These types of spotlight episodes that essentially follow an entire new group of characters are always risky, but sometimes they work out. It allows showrunners to branch off from their established narrative, and can bring a fresh perspective to the middle of a season. Unfortunately, episode seven was an undeniable disaster. Just as the season is reaching an exciting climax, the Duffer brothers decided to completely shift gears and focus on a ragtag group of disenfranchised criminals. All of them are onenote, unoriginal, and completely needless to the overall plot. One could honestly skip this episode and miss absolutely nothing. It adds no character depth, plot development, or exciting ideas to the overall story and that’s why it was a monumental failure. Some might love the change of pace, yet for me, the bold move ultimately fell flat. Stranger Things season two is more of the same from season one. Season two offers an exciting story and fresh characters that are all wrapped up in a nostalgia-inspired atmosphere. It’s nothing game changing or amazing, but it is usually pretty great.